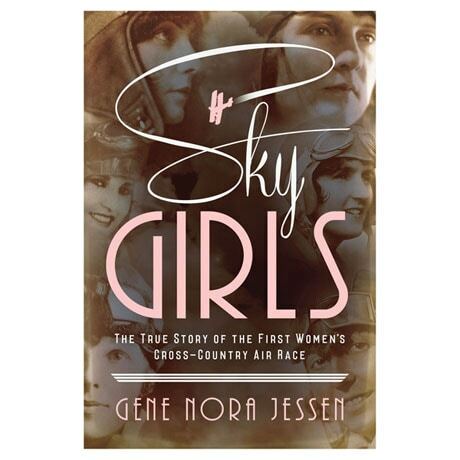 In 1929, twenty female pilots took off from Santa Monica, California, en route to Cleveland, Ohio, in the first all-female cross-country air race. The flying aces—including a cigar-chomping heiress, a coal saleswoman, a flying circus performer, a movie ingénue, and someone named Amelia Earhart—hailed from all walks of life, but shared two things in common: All were passionate about aviation and all boldly bucked the conventions of the time to chase their dreams high above the clouds. At every stop along the way, the racers were mobbed by photographers, reporters, fans, and detractors, their progress chronicled by the great humorist (and aviation fanatic) Will Rogers. But for all the photo ops and autograph sessions, the race was serious—and dangerous—business, requiring hard-earned skill, physical and mental endurance, and audacious spirit. This true story will enchant aviation buffs as well as lifelong students of history, an exhilarating tale of the intrepid pilots who broke barriers and inspired generations of women.